Panelists and guests during the WRVO community health forum on the heroin epidemic. This forum aired on Sunday, July 20 at 7 p.m.
Heroin is the latest illegal drug to become a scourge on communities in upstate New York and throughout the nation -- and it feels like it happened overnight. What is causing this rise in heroin abuse? In part in can be linked to widespread abuse of painkillers and an effort to clamp down on them. Who is using it and how does it affect those who use it? Whether it's actor Philip Seymour Hoffman or SUNY Oswego students, heroin is impacting a wide range of socioeconomic groups. What can the medical community, law enforcement, schools, governments and concerned citizens do to address this problem? From left to right: Catherine Loper, director of news at WRVO; Dr. Laura Martin, family practitioner and addiction specialist; Brad Finn, director at Prevention Network; and Ashley, a recovering heroin addict and certified drug counselor. With a panel of regional experts, with will discuss how heroin use got to the point it has, how it is affecting our community and what can be done to address this issue. Panelists include Brad Finn, director at Prevention Network; Dr. Laura Martin, family practitioner and addiction specialist; and Ashley, a recovering heroin addict and certified drug counselor. News Director Catherine Loper is moderator. This forum was recorded on Thursday, June 26 at the Central New York Community Foundation ballroom (431 East Fayette Street) in Syracuse. This forum is one in a series sponsored by The Health Foundation for Western and Central New York. Gov. Andrew Cuomo and legislative leaders have agreed to a package of bills combating heroin addiction, and say they are still discussing other issues, including medical marijuana, as the legislative session draws to a close. Cuomo calls the measures to curb the heroin abuse epidemic his top priority for the end of the 2014 session. He says the legislation will require health insurance companies to pay for more treatments. “Insurance companies, frankly, can’t play games and decide who gets treatment and who doesn’t get treatment,” said Cuomo. Two years ago, the use and abuse of drugs called bath salts seemed to be in the news every day. This year, it’s heroin. 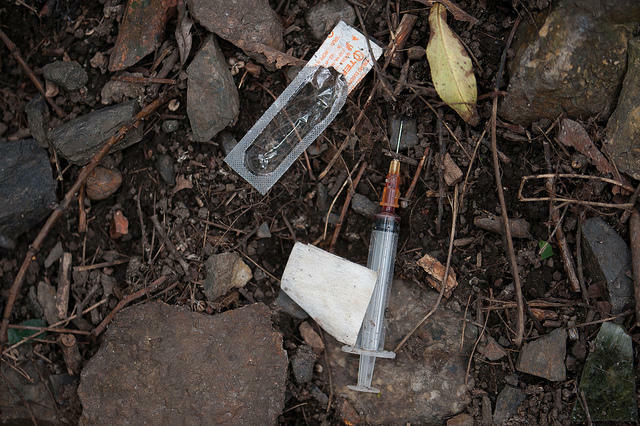 The number of heroin deaths is on the rise in a staggering way. But why has this drug that’s been around for more than 100 years experiencing a resurgence now? Click 'Read More ' to hear our interview with J. David Goodman.